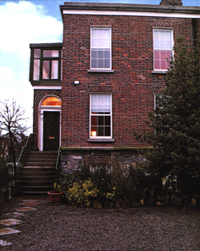 80 Ranelagh Road, Dublin 6. At Fennelly O'Farrell we understand that the achievement of success requires dedication and hard work. You can depend on our support in providing backup and solutions to complement that hard work. We provide clients with business solutions tailored to their needs. Whether you have a business idea or are established we can offer you the support you need to develop and grow. Fennelly O' Farrell and Co. is a Member of the Institute of Chartered Accountants of Ireland.